Sun is out and so is our interest in sunscreens. 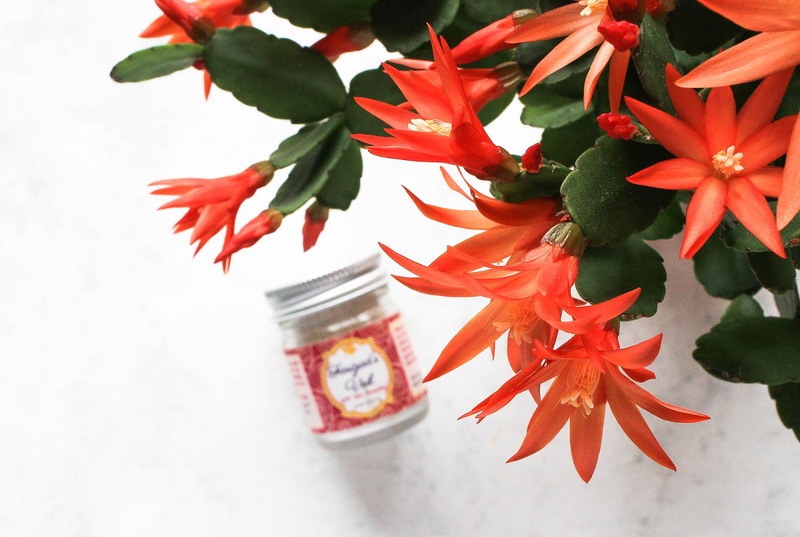 At least that is the spiel with my readers and since I got some questions about my favourite sunscreens it was only time to properly review the one and only Farizad's Veil* from Earthwise Beauty. I've tried a number of sunscreens and I do like others as well but there is just something so special about this one that I simply can't stop using it. I'm on my second jar and I think it's safe to say that Farizad's Veil is my favourite sunscreen! Like other products from Earthwise Beauty, Farizad's Veil also has a story behind it. Farizad's Veil is Ava's take on a sun shield formula for the contemporary woman: luxurious, non-pore-clogging, light, breathable, flexible, and with a beautiful, sophisticated natural scent. The fragrance, product name, and label design were inspired by Farizad, a heroine from Arabian Nights. Determined, a believer in destiny and in her intuition's voice, Farizad had the smile of the rose and cried real pearls! Farizad's Veil is definitely NOT your typical sunscreen since it is a powder. Isn't that so unique and special? The first ingredient is highest-grade, minimally processed non-nano and uncoated Zinc Oxide, which is the healthiest, safest, and most reliable sunscreen ingredient available today (the only other non-toxic option is titanium dioxide, another mineral sunscreen, but it does not offer full-spectrum UV protection; all other sunscreen options are chemical compounds). 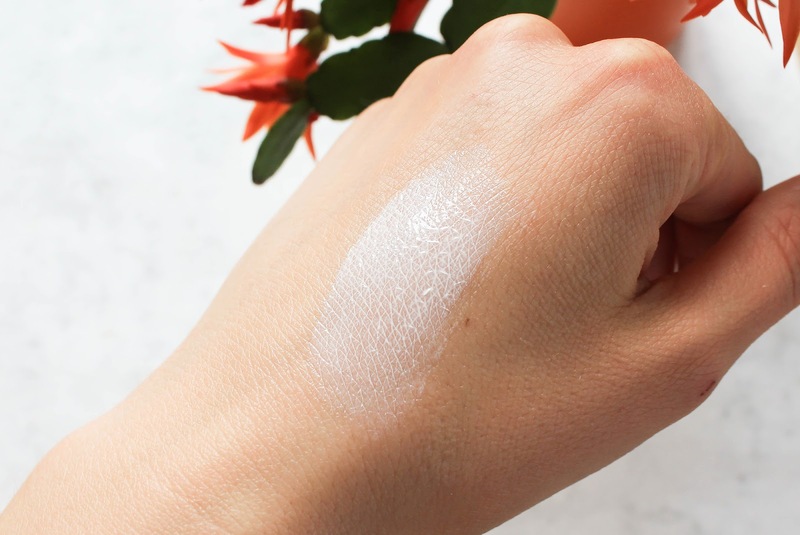 You may already know that Zinc Oxide (non-nano and uncoated) is my absolute fave sun protective ingredient (see here) and is highly used in green beauty products and some conventional sunscreens as well (but many of them are in nano particles and I rather stay away from those). I've said it many times before and will continue to say it that physical UV filters like Zinc Oxide offer better sun protection than chemical filters, not to mention that chemical filters can irritate and burn your skin AND they are NOT good for the environment, for coral reefs. At the end of the day they are just unnecessary chemicals. Zinc Oxide is safe for coral reefs and other marine life, is biodegradable and not only that it is an amazing sun shield, it's also beneficial to the skin. It's anti-inflammatory, it can heal acne, it has protective and soothing properties. 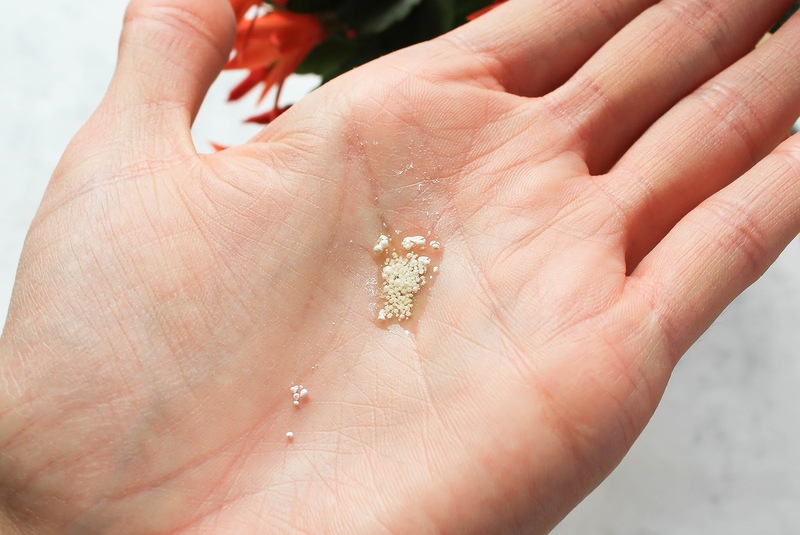 The second ingredient are pure powdered Aloe Leaves, and we all know that aloe vera is soothing, repairing, cooling. And how cool is it that there is a powdered aloe vera in this sunscreen?! Just one of the many reasons why I love Farizad's Veil so much. Like Lavanya from Boxwalla said: "it's skincare, not just sunscreen!" 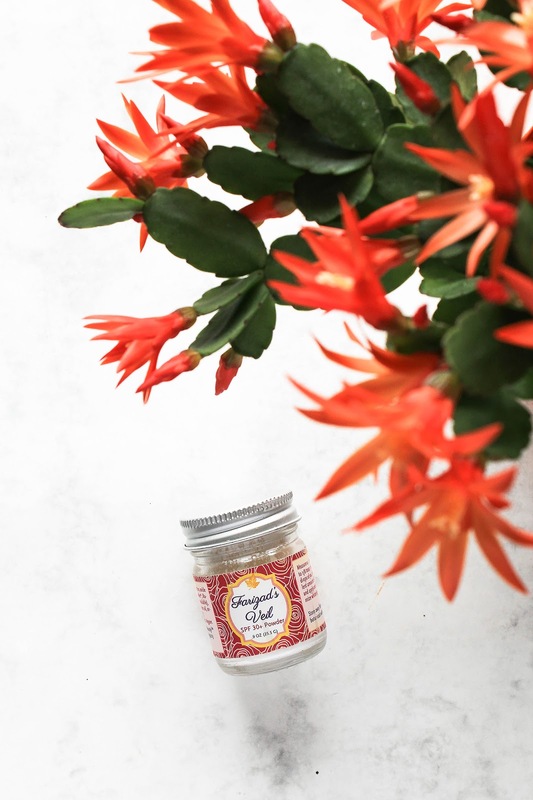 Other ingredients are scent related - there are Moroccan Roses, rare pink Indian Champaca Flower, Rose Geranium, Madagascar Geranium leaves and Frankincense from Oman. The scent is actually quite strong (floral, powerful, confident) but when I apply it on my face I don't even notice it. It's actually funny that I forgot the scent of it because I really don't stick my nose in the jar like I did for this review and when mixed with an oil I don't really detect it. I could even say it doesn't have a scent when you apply it on your face, but only because you need a small amount and because you mix it with another product that has a scent of its own. So what I'm trying to say is that Farizad's Veil has a strong scent but when you apply it on your skin it's not overpowering and strong at all. I would even say that even though you don't like the scent of roses you will love this product. 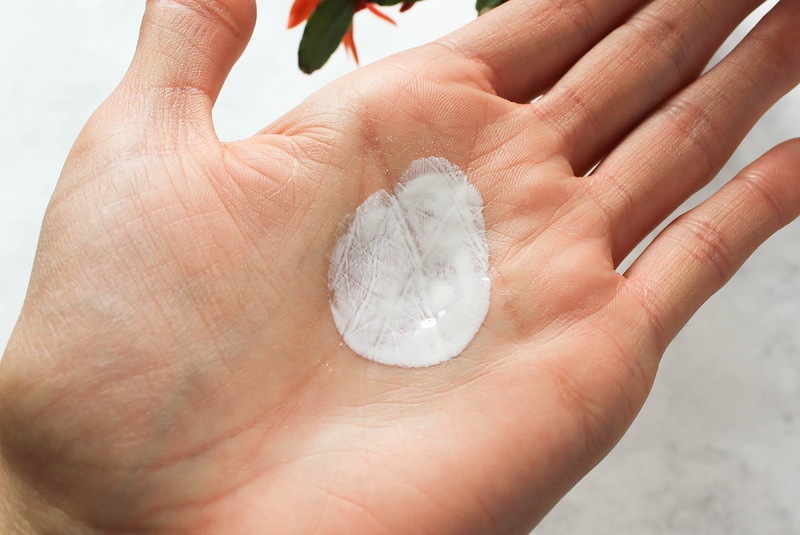 But if for any reason you would rather have an unscented sunscreen, leave the jar open for a few days, just lightly covered with fabric or a paper towel to protect the product from dust. How I use Farizad's Veil? My first impression when I saw this sunscreen was "oh I love the sound of it, it this looks very interesting and unique but it also looks confusing and that it takes a lot of time mixing it and nobody has time for that." Well I was certainly proven wrong on that last thing! Once you get used to it it's the easiest thing ever and it really doesn't take that much time! So the thing with this sunscreen is that you have to mix with another product to make your own customized sunscreen. That's the number one reason why I love it so much!! Since it doesn't contains a lot of ingredients it never clashes with other products and I can use whatever I want without worrying that my skin would look and feel greasy because of all the layers. My preferred way of mixing Farizad's Veil is with an oil serum. I've tried it with a number of oils and they all worked great with the powder. It depends on the oil and its consistency but I use about 3 to 5 drops of oil and sprinkle some Farizad's Veil on top. You can use a drop more if you end up with a paste-like consistency - it should be more like a lotion. Also know that powder soaks in quite a lot of oil so one drop more than usual isn't the worst idea. You can mix it in a bowl but in reality you will be much quicker if you just mix it in the palm of your hand. I recommend that you unscrew the oil and the Farizad's Veil first, then add the drops of oil into your palm and very gently tap on the jar to dispense a little bit of the powder. You could also use a spatula but I find that tapping works just fine. It's hard for me to say how much I use since I just eyeball it but Earthwise Beauty recommends using 1/32 to 1/16 teaspoon of the product. I never measure it so I don't even know how much I use but if your skin is barely whitened by the concoction then you will get an SPF of 20-25, skin whitened by one shade will give an SPF of 30–35, and slightly more whitened skin will provide an SPF of 50. These numbers are approximate, since it all depends how much powder you use and how sensitive your skin is to the sun's rays, and something as variable as whether you wore a large-brim hat and made an effort to stay in the shade when possible. How much I use really depends on the weather, of the time of year (I do wear it all year round), if I'm out on the sun all day, it all just really depends from day to day. Usually I apply a layer that would give me an SPF of 20, so my skin is just ever so slightly whitened but nothing crazy. You must know that the sunscreen isn't heavy or thick and so greasy that your skin can't breathe. It actually feels superbly lightweight, it doesn't clog my pores but like I said it actually helps with acne and redness. It depends on the product you are using it with but it is also fast-absorbing and just amazing! It's such a joy using Farizad's Veil that I can't even put it into words. Don't be scared of experimenting with this sunscreen and don't think that if your face isn't completely white the sunscreen won't work. Trust me it does! And if you apply too little you can always go back with another thin layer. Believe me that you get used to the mixing quickly and it really isn't as complicated as it might sound like. I want to address the white cast once again because I don't want that to scare you away from getting this product. 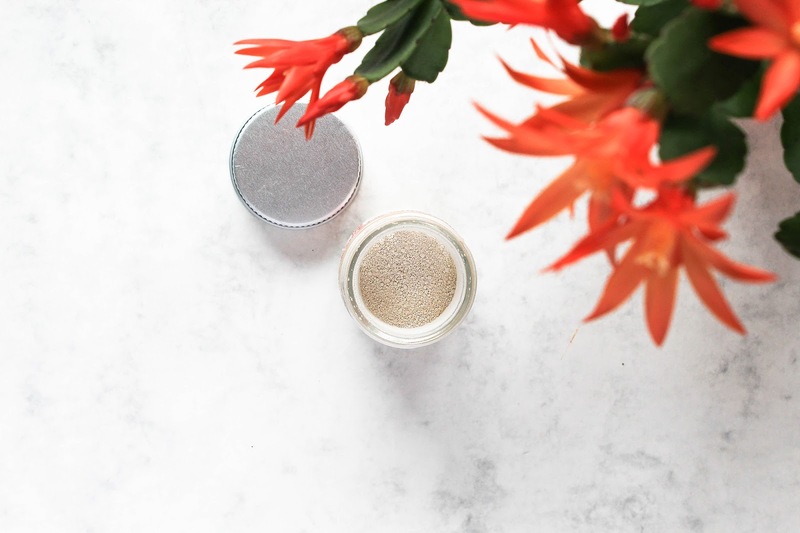 If you will add a lot of powder, the texture of the mixture will be thick and like a paste (which isn't the most enjoyable thing in the world) and your skin will have a white cast but in my experience you really don't need to exaggerate for the sunscreen to work. I highly urge you to try it with different oils and find what works best for you. If you're worried that you applied too little, rather apply two thin layers, than one thick. You also have to apply a few pumps of other sunscreens for them to match the SPF written on the packaging so that really isn't all that different. But the end result will be much nicer and it will feel more lightweight than it can with some other natural sunscreens. I loved mixing it with Earthwise Beauty Ruby Facial Oil* (my review here), Leahlani Skincare Aloha Ambrosia* (review here) - perfect if your skin needs lots of moisture, Mono Naturoils Sensitive Facial Oil* (short review here), and more. At the moment I'm mixing Farizad's Veil with Mun's Aknari Brightening Youth Serum* which I got in the February Boxwalla Beauty Box* (review here). Well actually this jar of Farizad's Veil is also from a previous Boxwalla box (see my review here). I recommend using an oil that your skin already loves or an oil that is suitable for your skin type. If you use a lot of Farizad's Veil and a very lightweight and dry oil it can even be a bit drying, so make sure to try and test it out to best suit your skin. 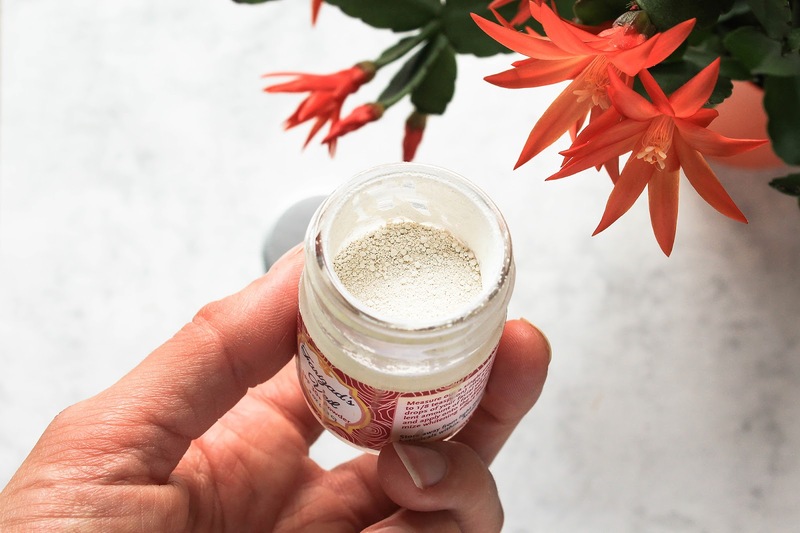 I also tried mixing the powder with One Love Organics' Coconut Water Cream* from the April Art of Organics Clean Beauty Box*, which I adore (review here) and I find that if I use only a small amount it works well but if I use a lot they don't work together that well. Farizad's Veil is best to use in combination with oils or products that contains oils, but not with gels or gel-creams. You may also try mixing it with your liquid foundation or tinted moisturizer. Zinc Oxide offers nice coverage and mattifying properties, so you may find you don't even need to use a foundation with Farizad's Veil. Farizad's Veil is lightweight, doesn't clog my pores, it's breathable, it's mattifying and can almost work as a slight instagram filter on the skin. 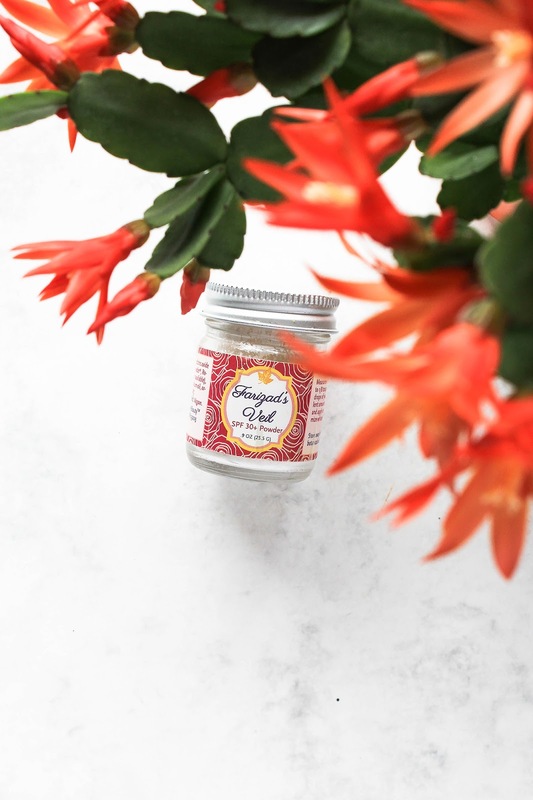 It's anti-inflammatory, anti-acne, anti-redness, it's soothing, it doesn't irritate my skin, it contains only a few ingredients which is great for sensitive skin. 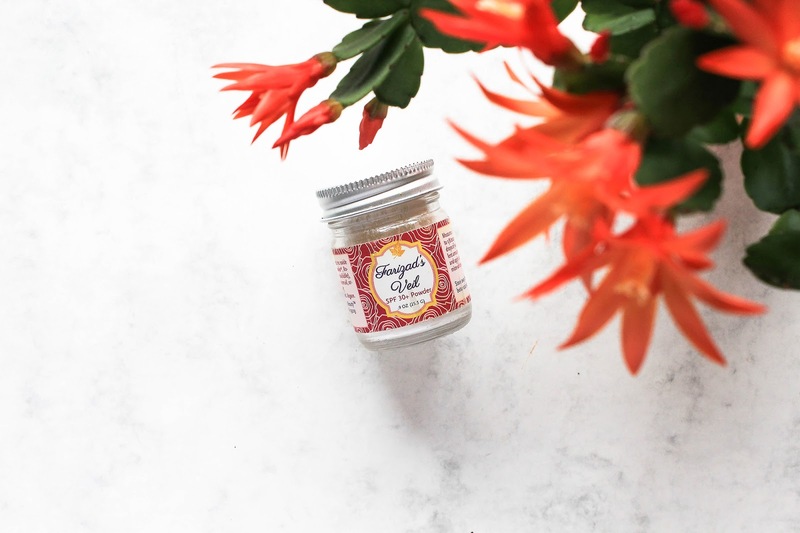 It's coral reef safe, it comes in a glass jar with aluminium lid and it just works wonderfully! It is suitable for all skin types, including acne, combination, sensitive, and mature. Certified cruelty free, vegan, cold process, all natural, handcrafted, fair trade. As you have gathered from this lengthy post, I freaking love this sunscreen and I highly recommend it. I love that Earthwise Beauty offers samples so if you're unsure you can easily get a sample first and then see if this sunscreen is worth my hype. Fingers crossed you will also be blown away with it! You can find Farizad's Veil here, where you can always use my code "Loveliness" to get 15% off your order. If you live in Europe you can also get it here. Have you tried Farizad's Veil? Have any questions about it?